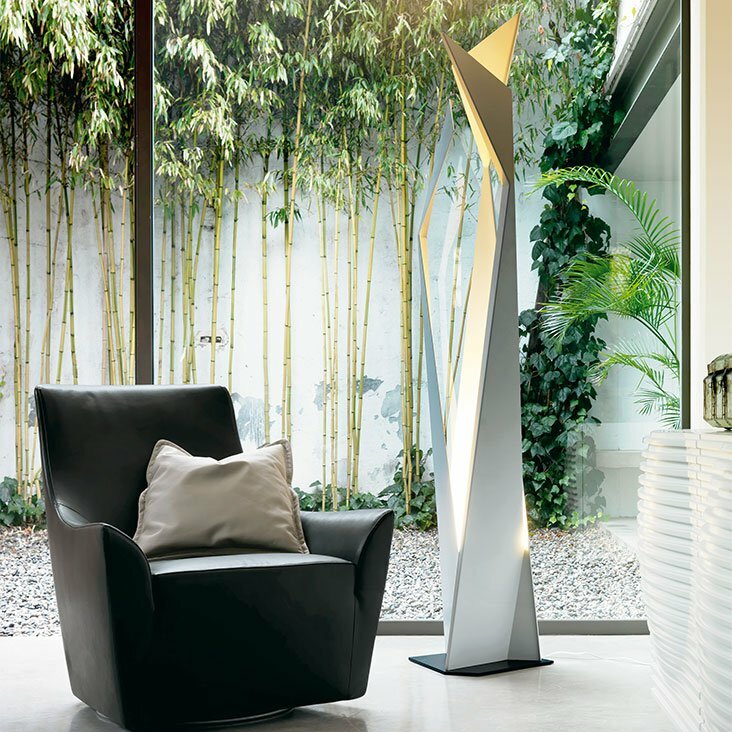 Floor lamp with frame in matt white or gray varnished steel. Black base. Bulb not included (requires 1 x E27 energy saving bulb 20W MAX).